Glutamine is the ultimate Amino Acid when it comes to muscle repairs, reducing soreness and recovery from workouts. During intense training your levels of Glutamine reduce, limiting your body’s ability to recovery properly. 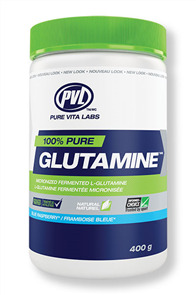 Supplementing with Glutamine supports post workout recovery, lean muscle gains and your immune system.